The only white hole in time you'll experience is when you fall asleep watching this. Peter Russell is nowhere near as dynamic nor intersting as, say, Carl Sagan. This is educational fodder...well, maybe that's a bit harsh. Judge for yourself. 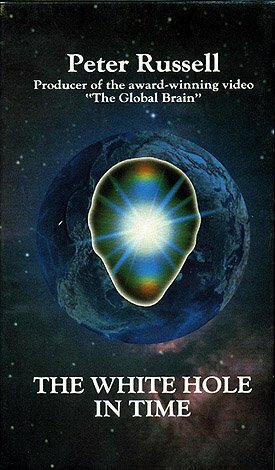 "Building on the premises established in his award-winning video The Global Brain, Peter Russell weaves his characteristic blend of physics, psychology and philosophy to paint a new picture of humanity and the times we are passing through. 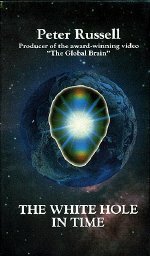 In The White Hole in Time he explores the evolutionary patterns behind our ever-accelerating rate of development, and asks: Why is it that a species that is in many ways so intelligent can also behave in ways that are seemingly so insane? Using hundreds of images that span the breadth of creation, this beautiful and moving audio-visual production shows that the global crisis now facing is, at its root, a crisis of consciousness. The next great frontier is not outer space, but inner space. We could, he concludes, be on the threshold of a moment towards which life has been building for billions of years - an evolutionary climax far more profound that most of us have ever dared imagine." Oh, he uses Vangelis' Antarctica soundtrack as the backdrop to his ramblings, so there is nothing new here.